an old friend got in touch with me today because she randomly stumbled upon my website..so glad she did! 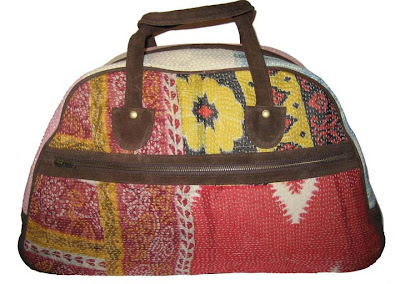 she has started a beautiful line of bags called rising tide fair trade, all made in india. 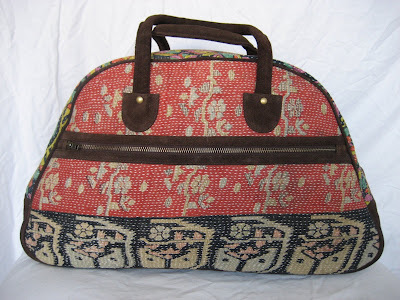 they are all recycled with cruelty free fabric while ensuring fair wages..usually you see this technique of embroidery on quilts called kantha, but i love how she has incorporated it into fun weekender bags and coin purses! plus they have that one of a kind hand made appeal which i am a sucker for!